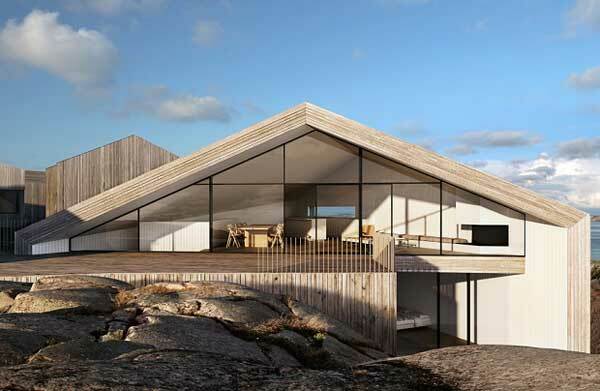 One of nine similar houses designed by Wingardh Architects as part of a residential project near Smögen Island in Sweden, Villa Flattarna is an amazing home dressed in cedar siding and displaying a triangular architecture style. 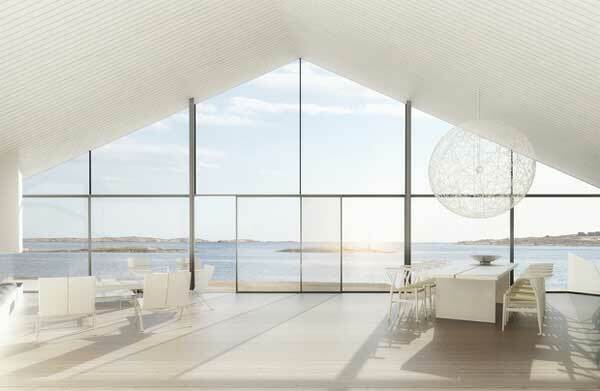 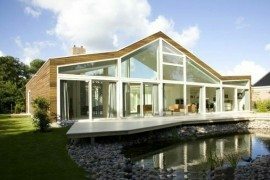 Stunning water views captured through floor to ceiling windows can be enjoyed from almost any space of the house. 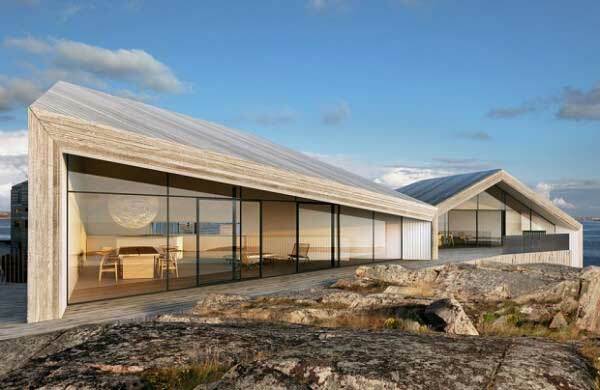 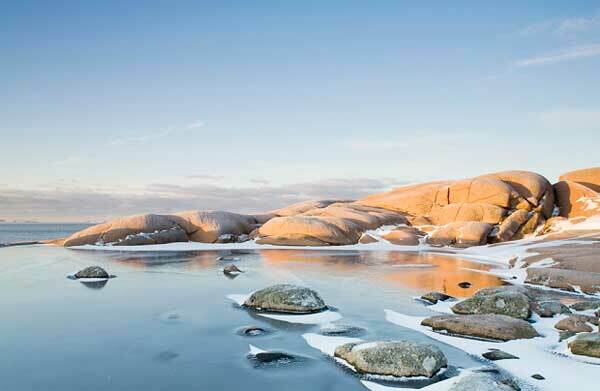 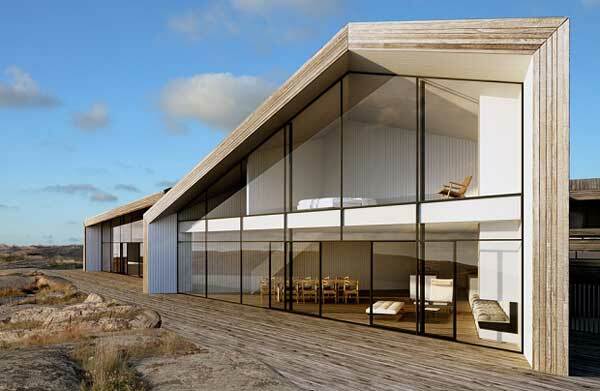 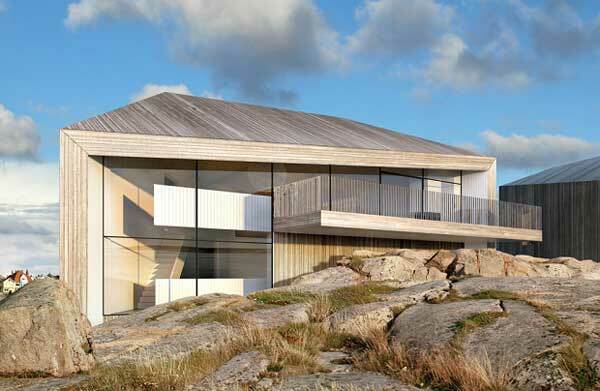 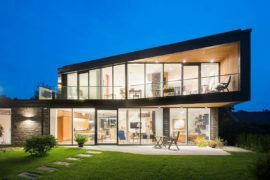 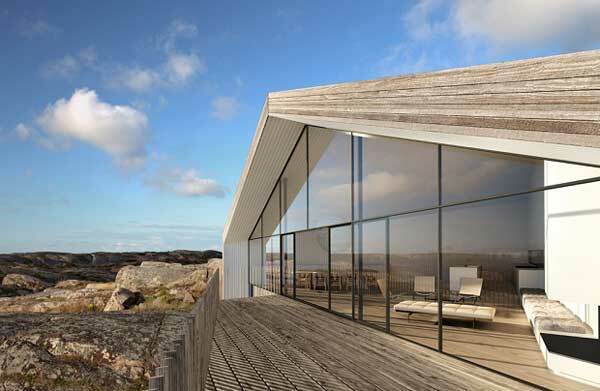 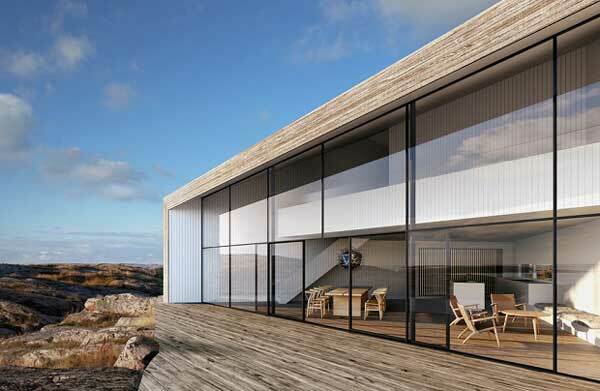 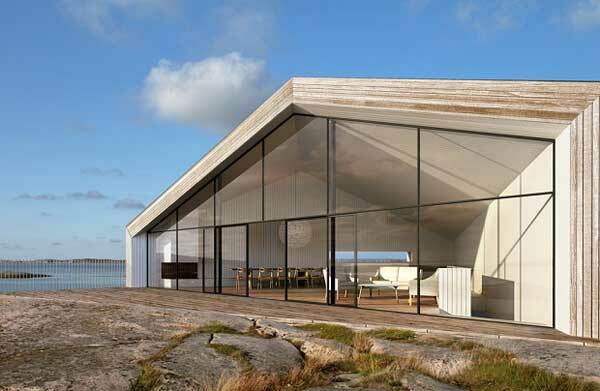 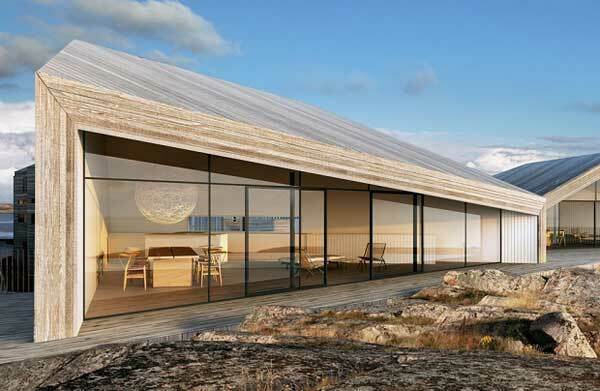 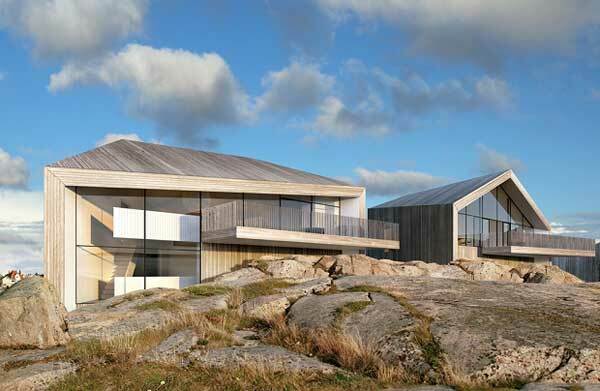 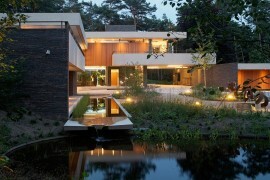 The two-storey residence is nestled between rocks on a raised plot overlooking the nearby North Sea. 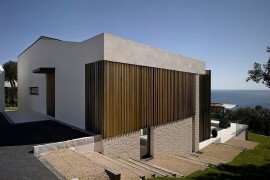 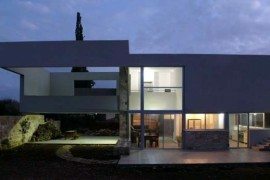 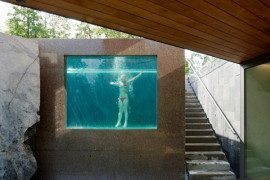 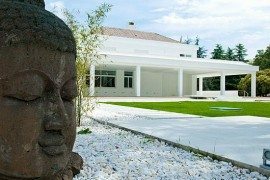 With a minimalist interior, the villa amazes with its bold, natural-colored facade and welcomes its inhabitants with a fantastic collection of spaces that seem to speak about the need for fewer things and more feelings. 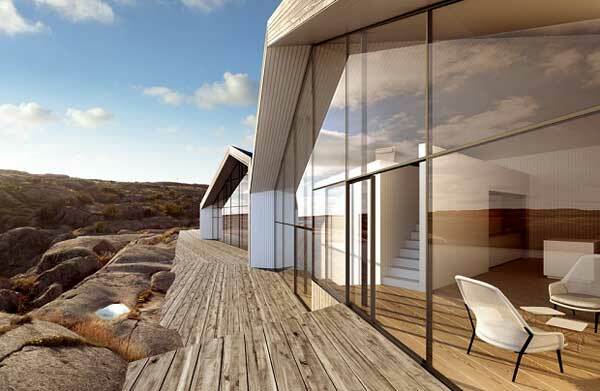 The harborside lot deepens the connection to the surrounding natural environment and the interior spaces were carefully designed to offer comfort and a modern lifestyle.